Methamphetamine "What's Cooking In Your Hotel"
Methamphetamine �What�s Cooking In Your Hotel� - Methamphetamine is a powerfully addictive stimulant that dramatically affects the central nervous system. The drug is easily produced in clandestine laboratories with relatively inexpensive over-the-counter ingredients. These factors combine to make methamphetamine a drug with high potential for widespread abuse. Lockout/Tagout � This program is designed to explain the basic procedures, some terminology used in the procedures, and general requirements. Control of hazardous energy sources is the new concept with new requirements for the previous lockout/tagout program. 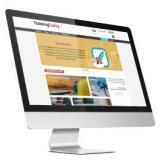 The Hospitality Library consists of courses to train new and experienced managers. This library provides employers in the Lodging, Food Service, and Tourism industries with a complete suite of training course for employees at all levels of guest services. This course discusses what constitutes extended or unusual works shifts and the hazards associated with work pattern changes. This program explains how the back works. We discuss how strains and muscles work so back injuries can be prevented. Many employees in the kitchen and food service industry are injured every year. Food handlers, cooks, waiters and waitresses, beverage servers can�t always be concentrating on anything except providing quality food and service. This program will cover all aspects of safety in the restaurant kitchen. 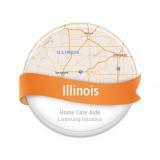 This 22 DVD package meets the initial training requirements outlined in Illinois Title 89 IAC Ch. II Section 240.1535 – “In-Home Service Staff Positions, Qualifications, Training and Responsibilities” with the exception of training on “Use of seclusion and restraint” and “Respiratory services"